While we eagerly await the release of Disney‘s live-action The Lion King remake on July 19, an inside source have shared with Us Weekly that the 37-year-old has at least two other new ventures coming soon in the upcoming months. 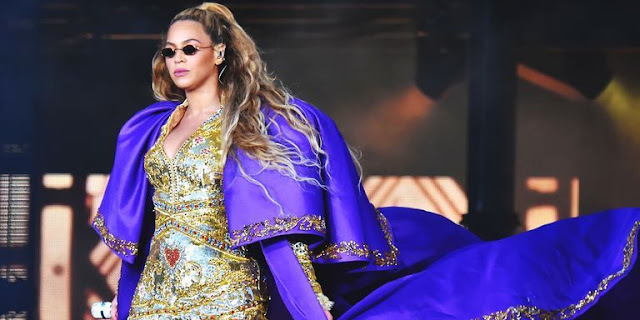 SIDE NOTE: The 23-time Grammy Award winner gave an epic performance at Coachella last year that was 365 days in the making and included cameos from husband JAY-Z, sister Solange, and former Destiny’s Child members Kelly Rowland and Michelle Williams. And as for that unauthorized photo, oooh baby, we refuse to invite that kind of trouble into our lives -- we know Beyonce's lawyers' are down right bull dogs! So GOOGLE IT!